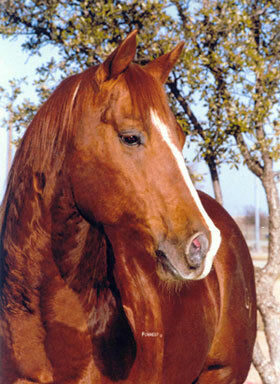 DUAL PEP - $313,192: NCHA Open & Non-Pro Classic Champion, World Champion AQHA Senior Cutting. DOC WILSON, 1983 NCHA Top Ten Cutting Horse (3rd). 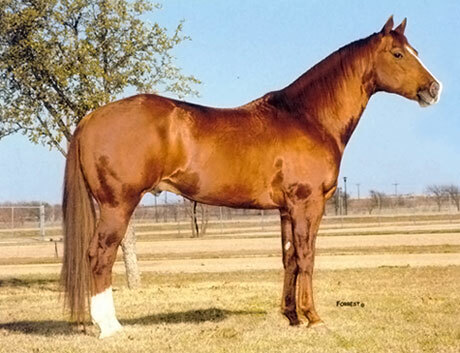 2nd Dam: ALEDO BAR ANNIE...The dam of ALEDO DOC BAR, 1972 NCHA Futurity Semi-Finalist, NCHA earnings of $8,325, AQHA ROM qualifier, 12 AQHA performance points earned, etc.